Watch the Hearthstone Wild Open! Eight of the world’s top Wild players – two from each region – have emerged from the online qualifiers to compete in the first ever Hearthstone Wild Open. Tune in July 1 and 2 beginning at 10:00 a.m. PDT each day to catch the action. All sets are welcome in the Wild Open, which means surprises and the unexpected will surely abound. Play-by-play analysis will be led by Dan ‘Frodan’ Chou, who will be joined by the talented Brian Kibler, Simon ‘Sottle’ Welch, and Alex ‘Raven’ Baguley. 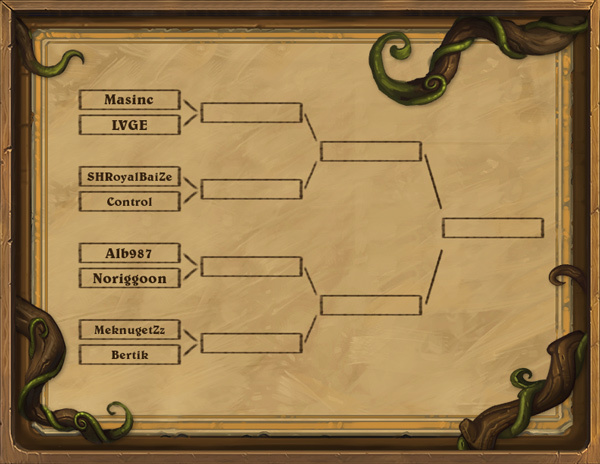 Players will compete in a single elimination best-of-five Conquest format with one ban. All broadcasts will be held on the official Hearthstone Twitch channel. Be sure to follow Hearthstone Esports on Twitter and Facebook for all the latest information on events and tournaments.